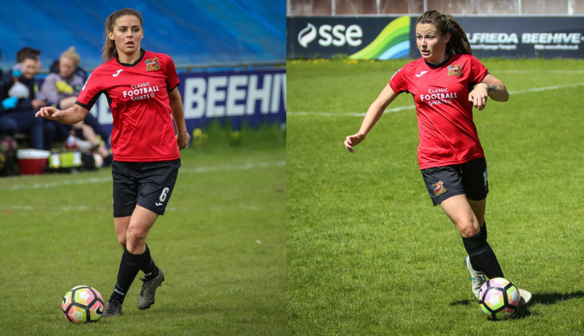 Two Sheffield FC Ladies players are off on international duty this week as Hannah Cain and Jenna Dear receive call ups to England youth teams. Having had a very successful season as part of the England WU19s squad, Hannah Cain, has been invited to the England WU20s next training camp this week as the squad prepares for the FIFA WU20s World Cup in France this summer. Its a superb achievement for the young forward to be called up to the higher age group and is just reward for consistently high performances for club and country over the past few months. At the recent UEFA WU19s European Championships qualification tournament, Cain scored twice in the three matches, including one against Germany, and she has been a regular pick for Rehanne Skinner's side this season. With the opportunity now there to attend a second World Cup (having already represented England in the inaugural WU17s event in Jordan 2016), Cain will be fully focused on continuing her recent form with the hope of impressing head coach, Mo Marley sufficiently to book a seat on the plane for France this August. Jenna Dear, meanwhile, travels to Sweden on Wednesday morning this week with the England WU23s squad following a series of strong performances for Sheffield FC. The midfielder, who has represented England at all youth age groups, will spend five days away with the squad, flying into Stockholm on Wednesday afternoon to prepare for an international friendly on Saturday afternoon, before returning home on Sunday. Sweden have historically been a leading country in women's football but the national women's team is currently lying tenth in the FIFA rankings compared to England's second place. 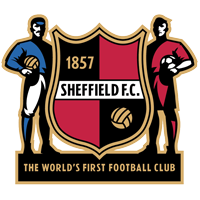 All at Sheffield FC congratulate the two players and wish them well on their respective trips.